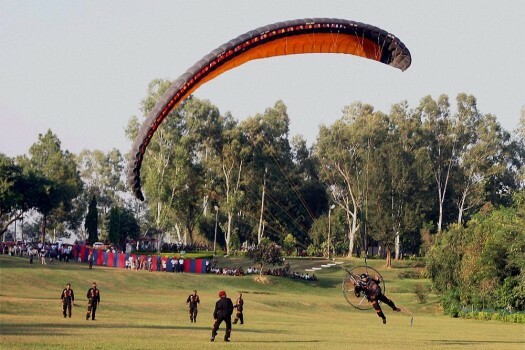 An Army paratrooper performs at a function to commemorate the victory of Indian Army in 1965 Indo-Pak War at Nagrota Garrison, Jammu. 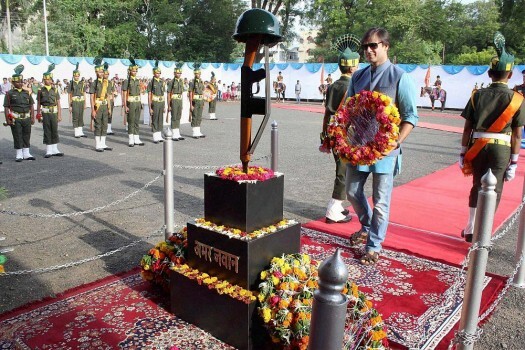 Vivek Oberoi paying floral tributes at Amar Jawan on the occasion of Kargil Vijay Diwas in Nagpur. 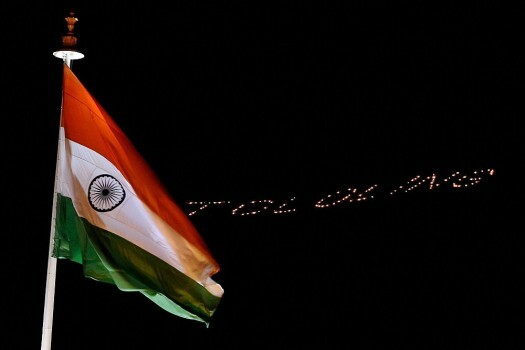 Tololing mountain decorated with torch lights by army jawans during the 16th anniversary of Operation Vijay of Kargil war in Jammu and Kashmir. 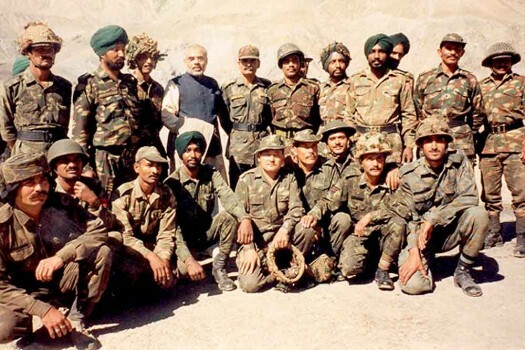 In this photo, Prime Minister Narendra Modi with soldiers. 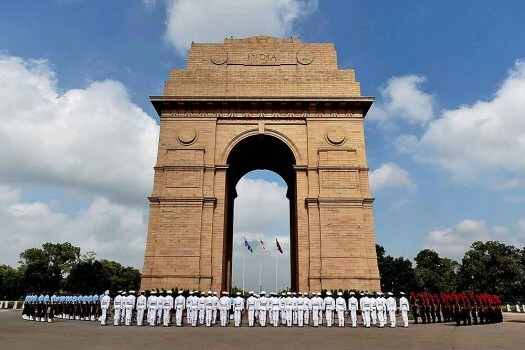 Naval soldiers after paying homage to Kargil martyrs at 'Amar Jawan Jyoti' at India Gate on the occasion of 'Kargil Vijay Diwas in New Delhi. 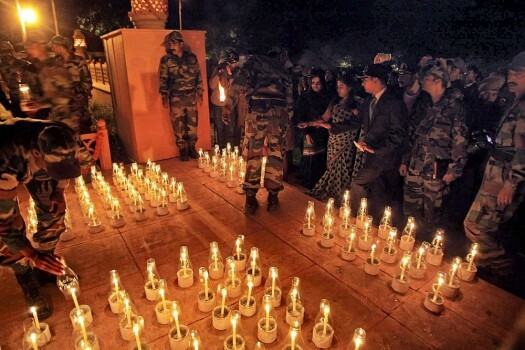 Soldiers paying homage to Kargil martyrs at 'Amar Jawan Jyoti' at India Gate on the occasion of 'Kargil Vijay Diwas in New Delhi. 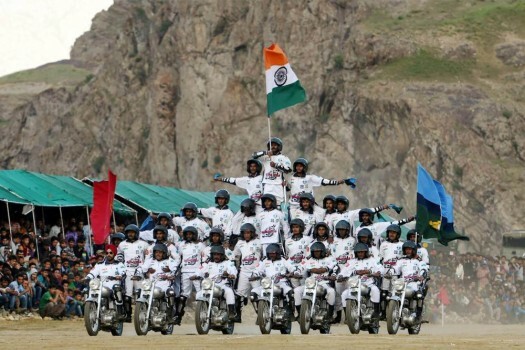 Army daredevils performing stunts at Drass Sector of district Kargil on Friday as part of celebrations of 16th anniversary of Operation Vijay. 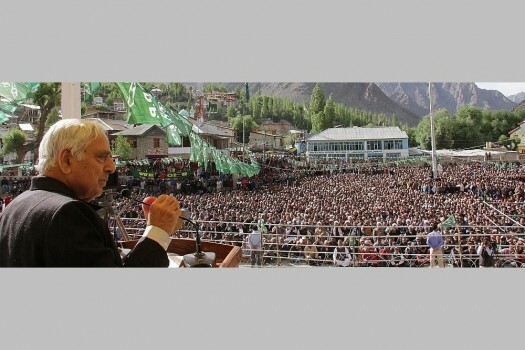 Jammu and Kashmir Chief Minister Mufti Mohammad Sayeed addresses a huge gathering at Kargil Park. 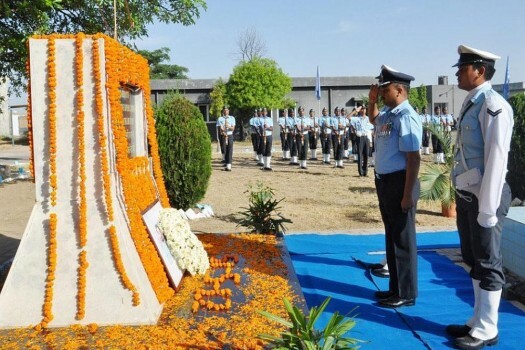 The Indian Air Force (IAF) personnel of Air Force Station Bathinda paying tribute to Late Squadron leader, Ajay Ahuja who was martyred, during Indo-Pak Kargil conflict, in Punjab. 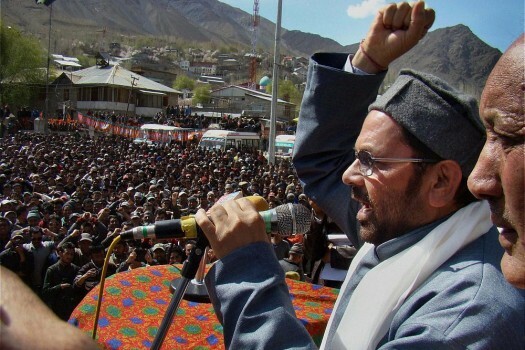 BJP National Vice President Mukhtar Abbas Naqvi addresses a public meeting at Kargil and Dras, J&K. 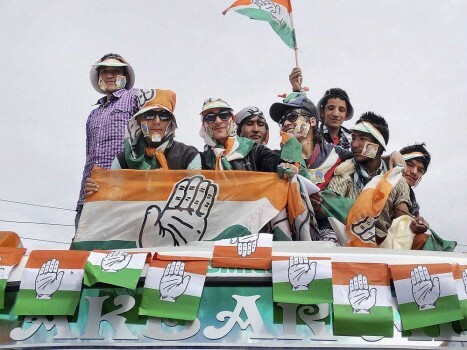 Congress workers celebrating their victory in Ladakh Hill Development Council, at Kargil on Friday. Congress won 11 seats while National Conference won 8 seats. 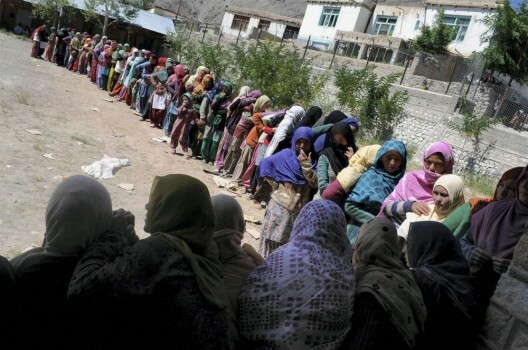 Women voters of Tumail-Kargil wait to cast their votes at a polling station near Kargil during Ladakh Autonomous Hill Development Council (LAHDC), elections. The other shoe, so to speak, has dropped in the controversy over Jaswant Singh's book on Jinnah. 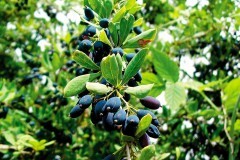 The BJP government of Gujarat has banned it on the catchall but nevertheless idiotic grounds of "national interest", and the opposition Congress party in the state has applauded the move. No one with any political clout appears to be seriously upset by this, at this point. It is likely that eventually, if not the publisher, someone in public life--perhaps someone with an aversion to the Sangh Parivar and the leadership in Gujarat in particular will get around to moving the courts to get the ban revoked. It is also possible that such a person is a positive admirer of Jaswant Singh, for any of a number of possible reasons--his aristocratic mien, his undoubted style and grace in the present difficulties, and not least his current role as central casting's dream Vibhishana to the Sangh Parivar's Ravana. This hypothetical person will likely succeed, since even by the censorship-loving standards of Indian Law and public culture, the already-flimsy grounds for the claim that the book denigrates Vallabhai Patel are actually untenable. The actual references to the Sardar in the book are here. It is clear that the author draws on primary sources to draw a perfectly valid conclusion that Patel (along with, perhaps Nehru) was, (a) at worst, guilty of a political misreading of Jinnah's true goals and in effect, calling his bluff on Pakistan and losing and (b) was worn down by Jinnah's sheer intransigence on the subject. 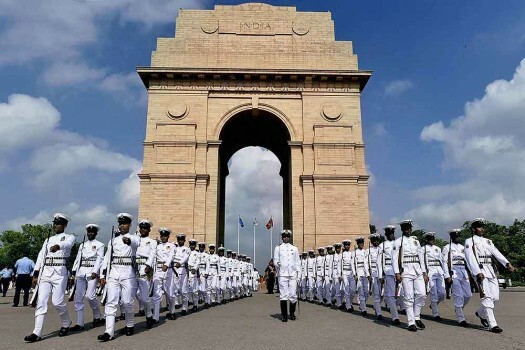 While clearly not hallmarks of political success, neither is a mortal sin, and more to the point, cannot detract from Patel's accomplishment of integration of the Princely States. But suppose Jaswant Singh had done a much poorer job of analyzing Patel's role, or had even spoken of him in disparaging terms. And suppose that Jaswant Singh had no admirers. Would it have been acceptable to ban the book? What if, just hypothetically, Jaswant Singh had seen fit to toss in a few references to the alleged violent and aggressive nature of Islam, in the context of Direct Action Day, for instance? 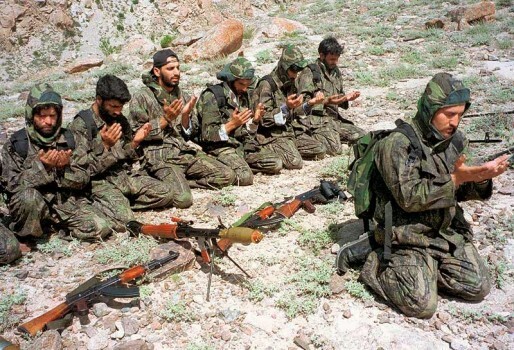 Would the book then be banned (to the cheers of lefties, perhaps) to calm an outcry by Muslims? Would the BJP leadership then be sagely lecturing on freedom of speech and thought ? Things can get bizarre and confusing in a hurry when doing thought experiments with a culture that appears incapable of handling the least challenge to the perfection and infallibility of its icons. The fascinating thing about the Gujarat government's latest act of patriotic repression is that it actually does no harm to the supposed perpetrator, as his books at nearly Rupees 700 a copy, are selling quite briskly outside Gujarat, thank you very much. 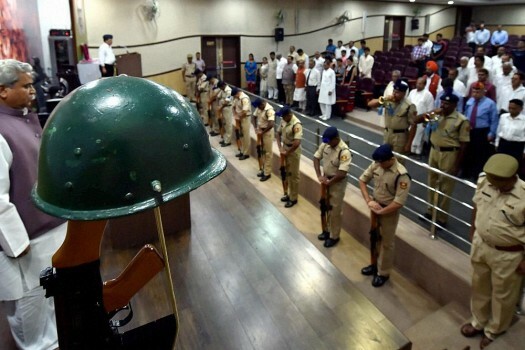 Nor does it do anything to protect the reputation of Sardar Patel, unless you count as protection the implication that the Sardar was actually guilty of something heinous or disreputable that needs the Gujarat government to hush it up for him. Since I doubt very much that the Gujarat leadership actually means to imply that the Sardar had done something that everyone needs to be made to keep quiet about, we can only conclude that it was more of an instinctive, knee-jerk reaction, sort of like a zealous family dog chasing away the postman from the premises. Of course, following that analogy, not receiving the post has consequences. One might be spared the arrival of vexatious bills, but equally, one might miss a juicy cheque or an enlightening and fun magazine. To the dog, of course, it does not matter. Having decided that the postman is a threat, it did its job in good faith and is entirely satisfied with itself, and would be very hurt indeed if the householder did not reward it for its diligence. The masters of the house, that is to say the people of Gujarat, have a good deal to lose by sitting by and letting the state government--their servant if not their dog, as it were--supply them with the misguided protection of censorship, even if, in this instance, the inability to read Jaswant's tome on Jinnah is no great loss, and the ban will eventually be revoked anyway. I don't mean money, they'll probably not lose any money because of censorship. 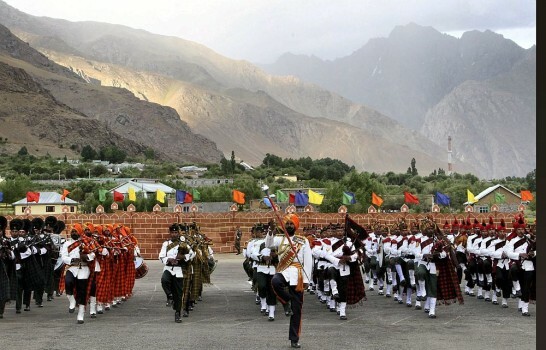 But they, along with Indians in general, will lose the possibility of ever being able to be in command of the critical narrative of their own lives and culture, in short the collective soul of the nation. Any such critical narrative has at its core a critical mass of people engaged in systematic critical thinking about culture, religion, and so on. One may liken having this critical mass to having a society that is capable of consistently winning a significant number of medals at the Olympics. The capability for doing so doesn't miraculously appear overnight, it requires the building of institutions, and the acceptance of a string of below-par performances to start with. It certainly doesn't come as a consequence of reflexively banning or beating up a coach--mediocre though he may be--who notes that there are distinct defects in the athletes' technique and approach. In such a culture, a nation of a billion might produce an ocassional Abhinav Bindra but for the most part, it is reduced to watching enviously while other nations gobble up the medals like clockwork every four years, even in sports like hockey that we thought were "ours". Something like that is happening in the field of critical sociocultural and religious studies pertaining to India. Quite simply, the best work in these fields is being done by Westerners, particularly Americans, in a setting where censorship on the Indian scale is not even a remote threat. A major case in point is the controversy regarding Hinduism Studies in American universities. Here is an article that outlines the problem, and here is a lengthy critique of American academicians' treatment of the Indian soul by Rajiv Malhotra, and a shorter, more specific reaction by Narayanan Komerath. Both Malhotra and and Komerath might be intellectually impressive, but they are only reacting, and at times deconstructing the messenger, and offer no countervailing critical study of the subject. Therefore, they have no hope of engaging in a peer-level collegial dialogue with the Religious Studies professors in question--the dialogue, is no more than that between a professor and a smart, contentious but ultimately limited student. But both Malhotra and Komerath, though reputed professionals in their own fields, are amateurs when it comes to Religious Studies, and they can no more be expected to constructively engage the American Religious Studies academic establishment than Abhinav Bindra and a handful of talented boxers can be expected to bring home Olympic medals on par with the American athletes who are part of a well-oiled multi-tiered athletic system of long standing. When it comes to the ownership of critical studies, Indian society--at least the censorship-loving segment of it--has tried all kinds of futile dodges when faced with unpalatable observations and analyses of revered icons by Americans and other foreigners, as in the attacks on the Bhandarkar Institute when James Laine published a book on Shivaji. But, censorship or vandalism are non-starters as a way of coping with such things, since the professors in question are free to continue their work in America where there face no such threats. More to the point, by indulging in censorship and worse, we are dishonouring ourselves and our culture in a particularly galling way, given that we are nothing if not a nation of students. scholars and seekers at the core. The American scholars can hardly be blamed for bringing their own personal, traditional and academic perspectives to their study of Indian matters. And while it is a fact that the perspective that is steeped in direct knowledge and experience of Indian culture has received short shrift, this again is hardly the fault of American scholars--the same class of Indians who might bring such a perspective are apparently busy censoring and repressing any attempt at critical thought by their fellow Indians, instead of studying and equipping themselves to be the peers of Western scholars, qualified to engage them as equals. At the end of the day, while censoring Jaswant Singh is of little consequence in its own right, it represents a collective attitude that tears at free India's very soul. If this mania for censorship is not curtailed, who would be to blame if India loses her soul altogether? 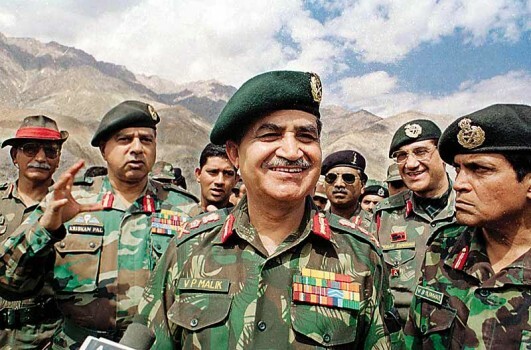 Postscript: If Jaswant Singh ever explained in the past 10 years why he abandoned the case of the murder-mutilation of Lt. Kalia and his troop after raising it so eloquently, I have missed it. Now that Shri Singh is in the glare of the media, I wish someone would ask him if he actually followed through on the matter, and if yes, what transpired, and if not, why not. I am not a big fan of Jaswant Singh. 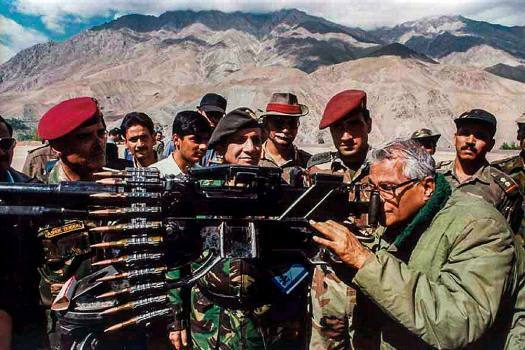 Ever since he made a big noise during the Kargil conflict about the torture-murder by the Pakistani army of Lt. Kalia and his company, only to quietly drop the matter altogether soon after, I have felt that there more rhetoric than reality in his carefully-cultivated image as an officer and a gentleman. And I have no expectation that his current revisionist work about Jinnah breaks any useful new grounds of scholarship or insight, judging by the contents of this interview . While it is good that he urges a cessation of the caricaturing of Jinnah as a demon in India, he, like many others, focuses too much on rehabilitating Jinnah, and dwelling on the what-might-have-beens of Partition itself, and exhibits little interest in advancing a useful critical understanding of the huge problem that Jinnah's creation Pakistan has grown into today. Nevertheless, the publication of his book presents an opportunity to initiate a debate that could just possibly lead to such an understanding, if only through the process of questioning its underlying thesis. In expelling Jaswant Singh, the BJP and its parent RSS have, once again exhibited an unwholesome haste to miss just such an opportunity. 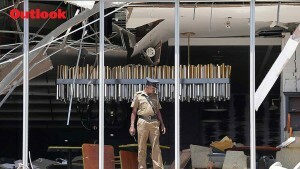 (The last significant time was in 2002 when, after the Gujarat violence, they spent more time making excuses for the lawlessness than in examining and clarifying their own attitudes towards Muslims, and law and order) Taken together with the other players on the political scene, the BJP's decision is a sad commentary on the state of Indian political thought today. 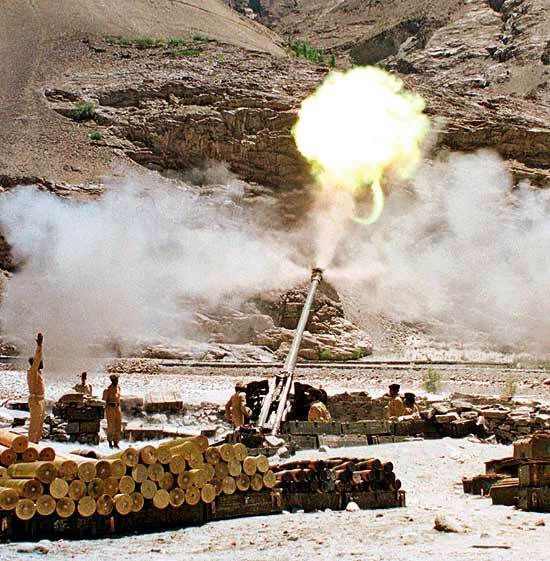 In the Congress party, we have apparatchiks toeing the high-command's line in offering incoherent explanations of the government's incomprehensible Pakistan policy. The Communists are caught up in a group-hate of the United States. And here we have the alleged leader of nationalistic politics, the RSS, shutting the door to an open discussion of what Jinnah and Pakistan have come to mean, and what to do about it. The upshot is that policy gets made in India by a small group of de facto dictators on high, who will brook no check or dissent even among their own peers. Quite Stalinist ( except of course for the imprisonment and killing). For the people of India as a whole, this spells trouble, since these people are usually egotistical, smug and overall intellectually ill-equipped (their inabiity to tolerate dissent is itself evidence of this). This way of doing business leads to ill-considered policies that will culminate in disaster. And disaster takes on a whole new meaning in the current nuclear-armed scenario. 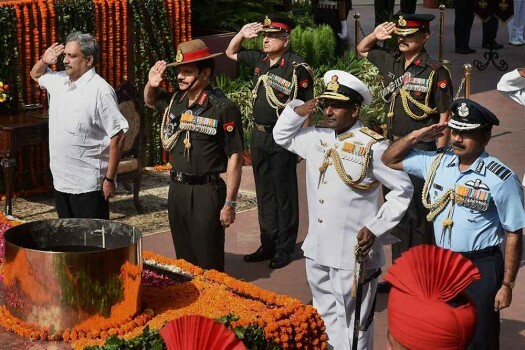 To survive, let alone see their dreams come to fruition, it seems that Indians have little choice but to stop outsourcing their thinking to self-styled political thinkers and leaders.